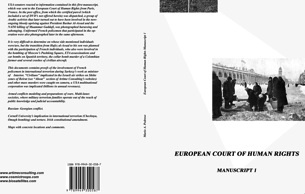 Official complaint to the European Court of Human Rights. Information entered to the Evidence Gathering Committee of the International Criminal Court. Harvard Law professors (Church- State separation, International Law, Civil Rights) contacted. Symptomatic descriptions of biotechnology satellite attacks on the human body, brain scanning (thought reading) and hindrance of normal of brain functions. Names of individuals and organizations (private and social) and state agencies implicated in biotechnology torture and international (military - supported) terrorism, photographs (recorded conversations and videos included in DVD set); examples from 1986 and before. Faxes to military prosecutor's investigative committee and to General Prosecutor's offices. Fidel Castro's personal role. Raul Castro's ascension to the presidency. Causa #2: trial and execution of former Cuban interior minister Jose Abrantes. NATO - supported mass murders and assassinations. The killing of Muammar Gaddafi. High treason, examples and consequences. Necessary illusions and the "universal" mafia. Conversation with diplomatic worker (Yamada) in the embassy of Japan in The Hague. Possibility of a nuclear attack on New York City. As of July 2012, the author still has access to high-level politicians in London, Paris, Washington DC, Beijing, Moscow, Berlin and other capitals, without losing independence and a sense of reality (four years of nonstop “forceful bumming” in Paris while being received in foreign embassies to France and Belgium and while contacting foreign correspondents’ offices). 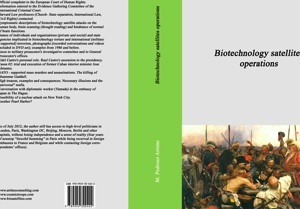 "Biotechnology satellite operations" DVD set. If sold separately, the price is three hundred Euros. 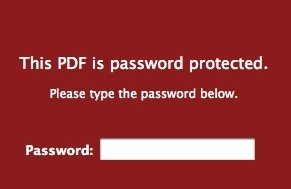 DVD's files MD5 signatures available from secure ftp. Seemingly disconnected assassinations and mass murders by the Mafia are explained. The distribution of this material might lead to the resignation and incarceration of Vladimir Putin and other politicians, security and military officers. Adduced examples of the link between banking and international terrorism. The underworld has its input in this work that has no equal in the market and which was written under constant torture, satellite attacks to the brain and internal organs, threats of imprisonment and deportation and the implementation of even more severe methods of dissuasion. The author was a student of the Polytechnic Institute of Leningrad and was later admitted to USA universities (USF, Cornell University and MIT) and to Dresden Technical University, from whose campuses heavy military crimes and torture were organized and carried out with the support of the American and German federal governments. Church - state relations in Iran, Cuba, the USA, Germany, the UK, Russia/USSR and France and their interconnections over a period of more than 30 years are implicitly and overtly elaborated. Written in no perfect English, this first edition needs much improvement. Readers’ suggestions are welcomed. 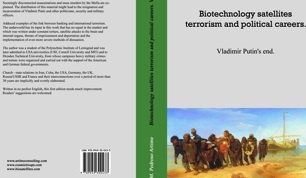 "Biotechnology satellite terrorism and political careers. Vladimir Putin's end" DVD. DVD files MD5 signatures available from secure ftp. Without registering with Pedroso Sp. z o. o., this product may be bought through secure online system przelewy24. Password to open file is sent by SMS or email after arrival of payment. 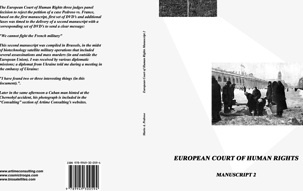 USA senators reacted to information contained in this first manuscript, which was sent to the European Court of Human Rights from Paris, France. In the post office, from which the certified parcel (which included a set of DVD’s not offered herein) was dispatched, a group of Arabic activists that later turned out to have been involved in the now-ongoing bloody uprising against President Bashar Al-Assad and the NATO killing of Muammar Gaddafi, was photographed harassing and sabotaging. Uniformed French policemen that participated in the operation were also photographed later in the same afternoon. It is very difficult to determine on whose side mentioned individuals were/are, but the transition from Hafez al-Assad to his son was planned with the participation of French individuals, who also were involved in the bombing of Moscow’s Pushking Square, ETA assassinations and car bombs on Spanish territory, the collar bomb murder of a Colombian farmer and several crashes of civilian aircraft. This documents contains proofs of the involvement of French policemen in international terrorism during Sarkozy’s work as minister of Interior. "Civilians" implicated in the Israeli air strikes on Shiite zones of Beirut (see “About” section of Artime Consulting’s websites) and other mass murders were caught on camera, a USA multinational corporation was implicated (billions in annual revenues). Armed conflicts modeling and preparations of wars. Multi-lanes societies, where military terrorism families operate out of the reach of public knowledge and judicial accountability. Cornell University’s implication in international terrorism (Chechnya, Omagh bombing) and torture. Irish constitutional amendment. Maps with concrete locations and comments. "We cannot fight the French military"
"I have found two or three interesting things (in this document)." Later in the same afternoon a Cuban man hinted at the Chernobyl accident, his photograph is included in the “Consulting” section of Artime Consulting’s websites. Both manuscripts sold as a collection can only be bought from the online shop. With only a few exceptions, all messages included in these books were outbound. The reply email from the embassy of Syria in Madrid concerning the assassination in Damascus of the director of a military hospital (committed with the participation of Cubans and the implementation of military satellite biotechnology) does not stand conspicuously from the rest of denounced events. Ill-wishers might interpret the email exchange as involvement in massacres or civil war preparation operations (Douma bombardment, Zamalka funeral procession car bomb, etc.) but they would make up the minority: such fabrications will not withstand independent criminal or journalistic investigations, not even common sense. Seldom I received responses from embassies or security/military agencies. All replies sent by email/postal service from the International Criminal Court, the Federal Security Service of the Russian Federation, the European Court of Human Rights and the Russian Military Prosecutor’s Office were negative, although unofficially, I counted with the support of some of their functionaries. Emails could be intercepted or detoured; on paper, they might be legally binding. (While working in the reception of Tallinn’s Barons Hotel wired bandits interfere my laptop as I type and continuously torture by making comments and “noises” in person or by using the ambience music; more threats of deportation if I create problems). The interaction between the USA Federal Government (CIA) and my family goes back to Manuel Artime but I am not a client of the agency. Nuclear satellite technology use by military, multinational corporations and banks/ financial institutions on civilians to torture, scan the brain (and read thoughts), sabotage and disrupt justice is an act of international terrorism. In France (and Brussels), Russia, Latvia and Estonia numerous individuals affiliated with extreme-right military groups and local police employ such technology also for thefts and monopolization. Presidents are thus fabricated, sometimes 25 years in advance, to play the role of “national security” guarantors. The collar-bomb murder of farmer Elvira Cortes in “La Palestina” (Colombia, year 2000) by financial criminals is an irrefutable proof of French police-roofed export of international military terrorism. 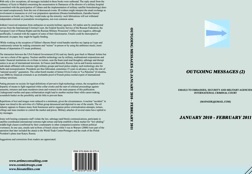 Putting pressure on society for legal definitions of pervasive high-technology crimes, the recognition of the disparity of means to fight organised white collar crooks and the start of criminal proceedings against assassins, torturers and mass murderers (men and women) is the main purpose of this publication. Underground warfare and space militarisation might lead to another nuclear blast while career-making scoundrels basket on the possibility and do little to prevent them. Repetitions of text and images were reduced to a minimum, given the circumstances. A nuclear “accident” in Japan was timed to the activities of a Tallinn group denounced and depicted in one of the emails. The oil industry appears to finance many front businesses and to organise police criminalization attempts, torture, killings and mass murders to control the market and prices. Military attaches of several states have replied to my messages. Some web hosting companies staff violate the law, sabotage (and block) communications, participate in satellite-coordinated international extreme-right torture and help establish a black market for “law-abiding” middle-high classes (confirmed by their counterparts in other companies/countries without political overtones). In one case, emails sent to/from a French citizen while I was in Warsaw (2000) were part of the operation that later included the attack to the World Trade Center/Pentagon and the crash of the Polish President’s plane near Katyn, Russia. Suggestions and corrections from readers are appreciated. Both books sold as a collection can only be bought from the online shop. These products are protected by USA and International Copyright Laws.